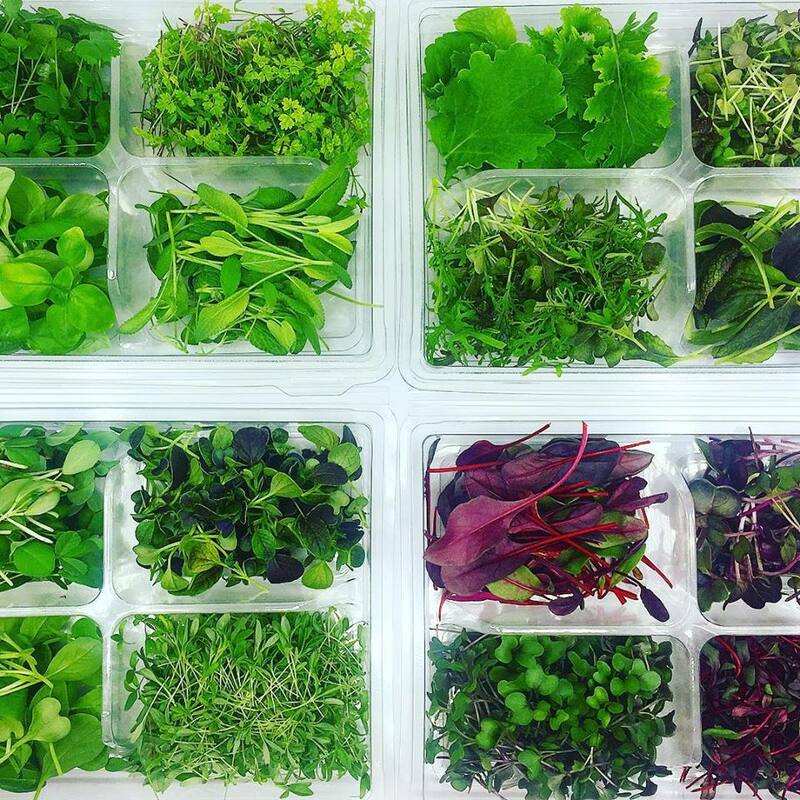 This Sampling Tray contains 16 different portions (each with 3-5 servings) of microgreens, microherbs, and leafy greens. Microgreens are a vegetable green which are more mature than sprouts but are harvested before reaching full maturity. They are most commonly used in fine dining restaurants, but are now gaining popularity across more restaurants and in households. Microgreens are thought to generally have considerably higher levels of vitamins and carotenoids in comparison to their mature plant counterparts. This makes them fantastic for a number of purposes beyond traditional cooking, such as diet regimens, and for children learning about the importance of vegetables and healthy eating. MiniCrops are a sustainable agriculture initiative, all their produce is 100% pesticide-free and is grown at their urban farm in Deptford, South-east London. The produce is always harvested on the same day as delivery. Delivered in cooled, insulated packaging. Refrigerate immediately after delivery for best results. Shelf life: Keep refrigerated for a shelf life of up to 7 days. If stored at room temperature, consume within 2 days. I ordered the Supreme Box and although it states that it's for families, they were so good that I finished the contents within a few days by myself! Really fresh and extremely tasty, highly recommended! We receive the minibox every 2 weeks. We receive the minibox every 2 weeks...new tastes each time! My gf and I love it! It has really become part of our healthy routine! An agriculture initiative providing sustainable, high quality microgreens, microherbs and leafy greens.